Baileys' sponsors of the Women's Prize for Fiction, is opening a pop-up bar at Waterstones Gower Street between 23rd and 27th April, to celebrate the prize and this year's shortlist, which includes Jennifer Egan and Kit de Waal. 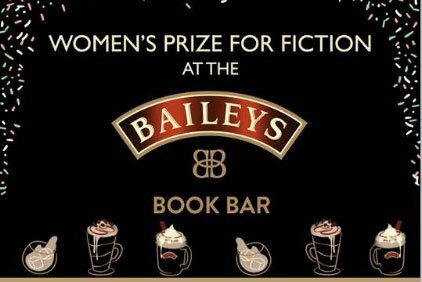 The bar will host a series of events, including lunchtime readings and ticketed events in the evenings. Plus there will be a bar, and mixologists, mixing up Baileys cocktails! For tickets and event details, go here"